Because Earth Day falls right in the middle of the Epcot International Flower and Garden Festival, Disney is showcasing all of Mother Nature’s beauty and brilliance. 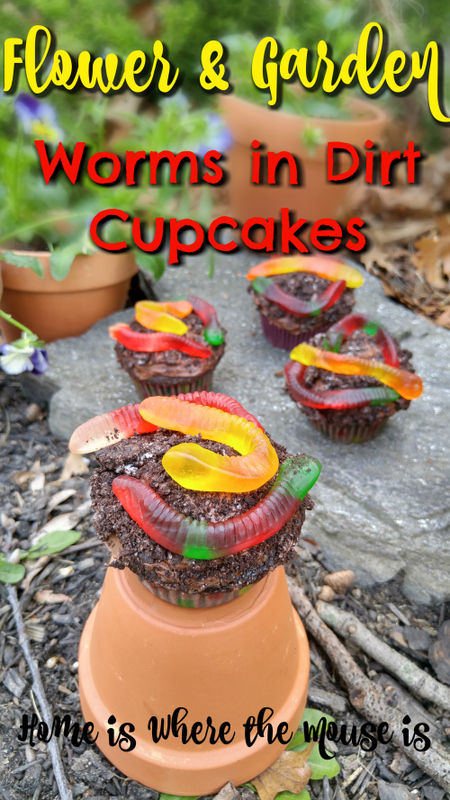 To join in the fun, we’re making Worms in Dirt Cupcakes at home! As a kid I can remember digging in mud puddles. It is an activity that both my kids have taken part of at some point in their lives (although one likes it more than the other). Playing in the mud is almost like a right of passage. Whether it’s making mud pies or looking for wiggly worms, it’s an activity that allows kids to explore our Earth. 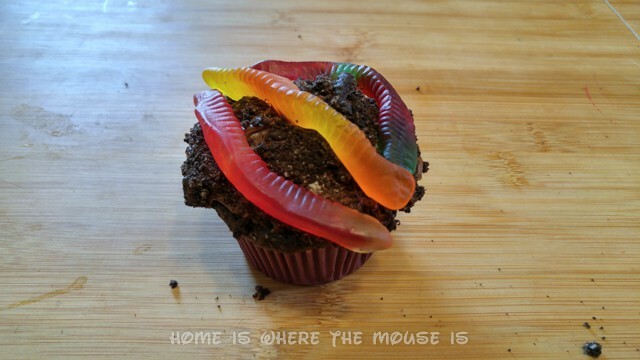 If you’ve visited Walt Disney World on Earth Day or during the Epcot International Flower and Garden Festival, you may have seen their version of the Worms in Dirt Cupcake. 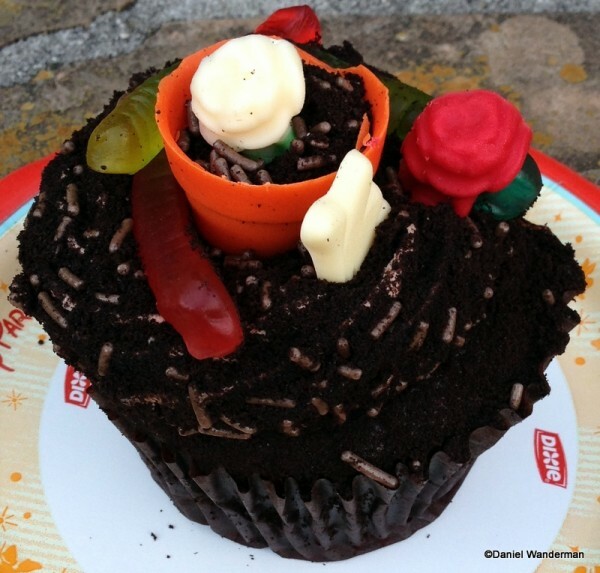 Disney’s cupcake features a chocolate cupcake topped with chocolate icing and covered with chocolate sprinkles, cookie crumbs, candy flower pot and chocolate flowers. It also includes pudding in the middle. We decided to whip up a batch of our own Worms in Dirt Cupcakes to celebrate Earth Day. While they may not be as fancy as Disney’s, they were easy to put together and the kids loved them! Here’s how to make your own. 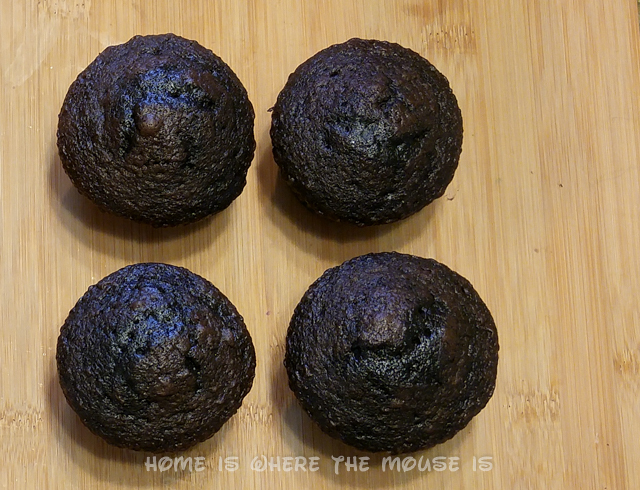 Bake a batch of cupcakes. 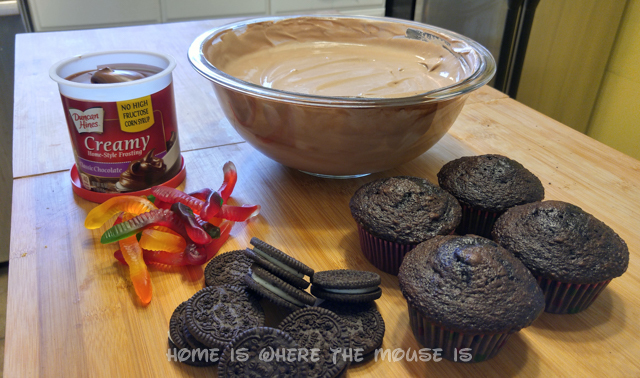 Since I consider myself a “faker baker” (I can turn box mixes and store bought ingredients into something fabulous), I made a batch of chocolate cupcakes using a box mix. 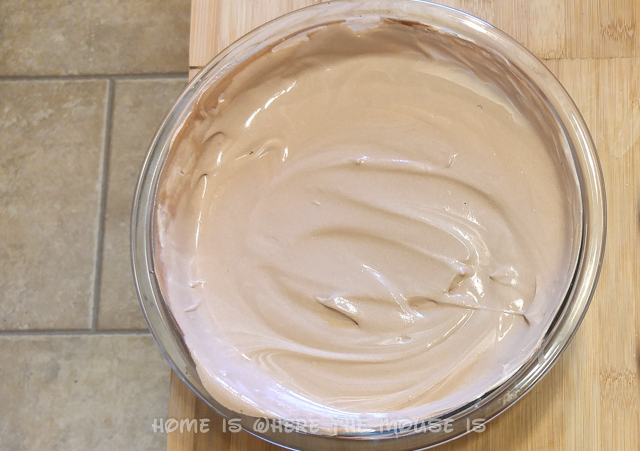 Then, make a 5-minute pudding and fold in a tub of whipped topping. Once the cupcakes are cool, cut a small hole in the top of the cupcake. The holes were cut on an angle. I removed the piece I cut and set it aside. 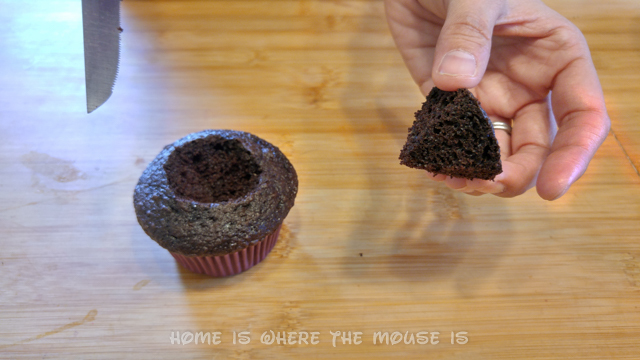 Before you replace the cupcake piece, cut off the bottom to make the piece flat. Then, place it on top of the pudding hole. 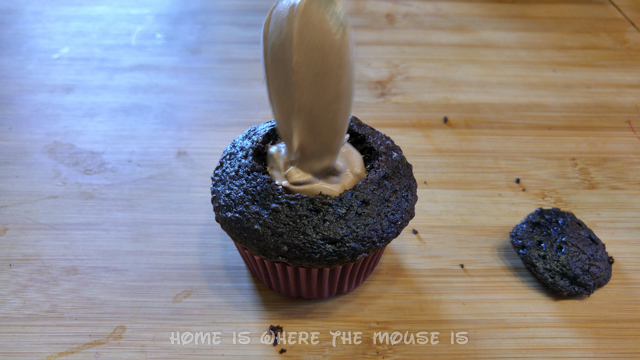 Next, frost the cupcake making sure not to disturb the pudding hole. 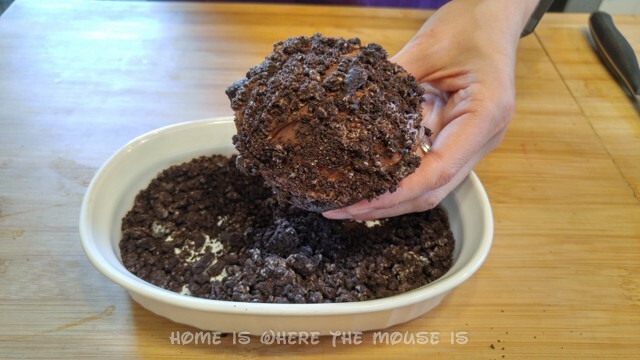 Dip the cupcake in cookie crumbs covering the entire top. 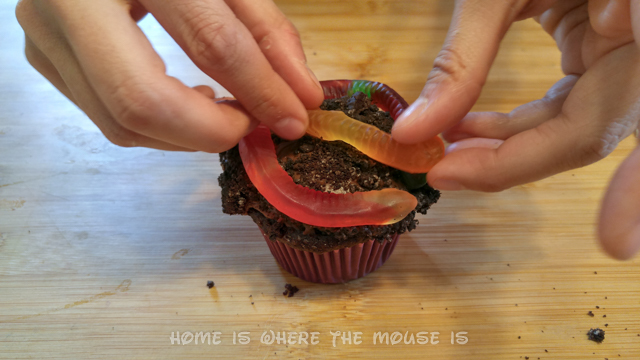 Finally, top off the cupcake with some yummy gummy worms. How easy was that? 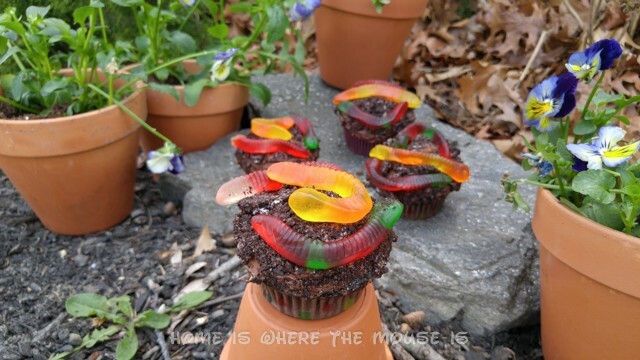 Now you have a fun cupcake you can make for Earth Day, birthdays, or any day. 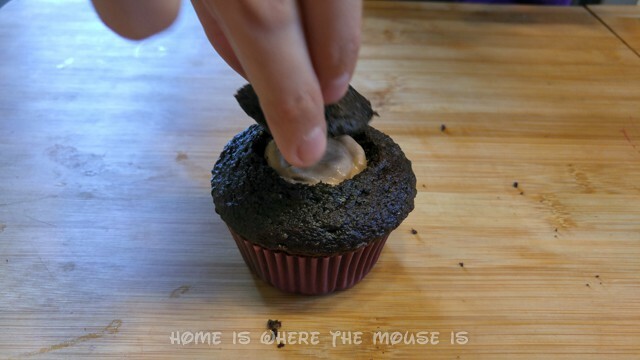 This is also a great because kids can help make them. Check out this 30-second video for how it all comes together. What else is cooking in our Disney Kitchen? 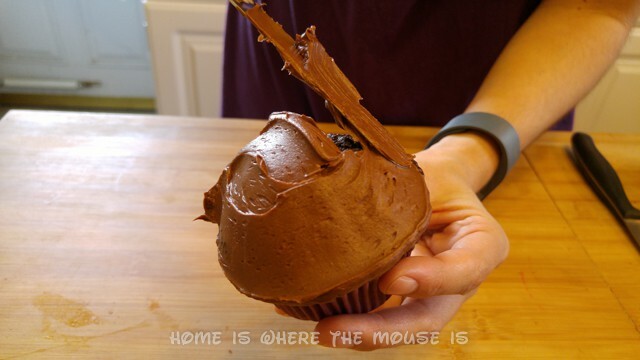 Check out our Disney Inspired Recipes board on Pinterest. you’re very creative, and inspiring me 😀 thankyou!